Sometimes the biggest challenge in starting a HTM career has nothing to do with comprehending electronics training or memorizing anatomy. “My biggest challenge was when I was a student, all of my technology books were in English. 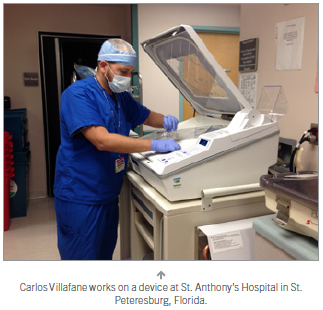 So, I needed to improve my English in order to learn electronics and biomed,” says Carlos Villafane, CBET, CET, who works as a BMET III in the Clinical Engineering Services Department at St. Anthony’s Hospital in St. Petersburg, Florida. “That motivated me to write a biomed book in Spanish, directed to biomed students in 2008,” he says. Villafane had studied English in school in Puerto Rico, where English instruction starts in the first grade and continues through high school. The problem was that there weren’t any native English speakers around to practice his conversational English with, so pronunciation was always in question. When he worked for Panasonic in Puerto Rico, the company’s tech support was in New Jersey. That’s when he started to go deeper into English. Villafane started taking biomed classes after work and completed an associate degree in biomedical engineering. He holds two associate degrees and a bachelor’s degree. Today, Villafane is a general biomed, taking care of the surgery department. 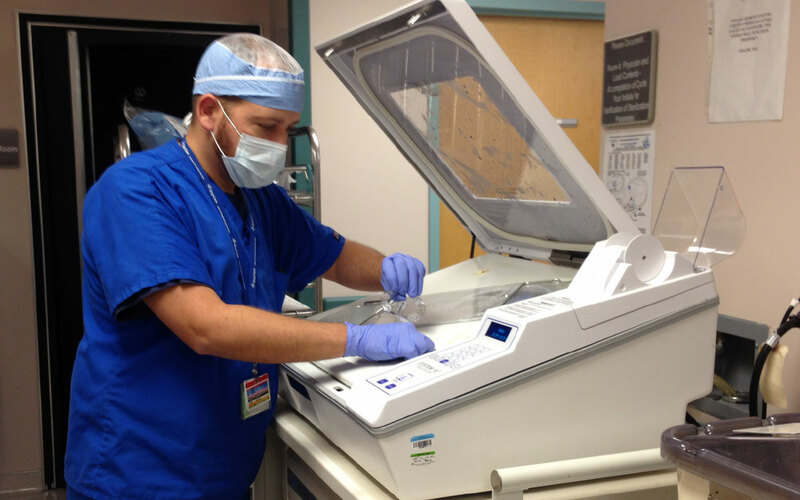 Years ago, while working for GE Healthcare, he took care of phaco machines and pulmonary function machines. Whatever type of equipment he works on, it’s OK with him because he says that he loves technology. Those early language challenges certainly didn’t slow Villafane down. He has been very active in the HTM profession outside his duties at work with positions that require a lot of speaking. He has been president of the Bay Area Association of Medical Instrumentation since 2012 and has been a member since 2005. He was one of the association’s original members. 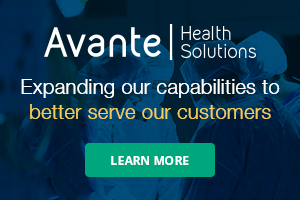 Starting January 1, 2015, he also took over the duties of president of the Florida Biomedical Society. He will hold that position for a year. The Commercial Radio Operator License Program awards a license to those who pass the qualifying exam, in order to perform transmitter operation, maintenance and repair duties, according to the FCC. Villafane says that this would include equipment calibration also. Villafane sometimes can’t leave his work behind at the end of the day, but that’s OK with him. Knowing how to fix things has its benefits. “There is a quote attributed to Confucius that says ‘Choose a job you love, and you will never have to work a day in your life.’ And I believe that is my case. I love repairing stuff. Most of my hobbies involve repairing something; a computer, my car or something in the house,” he explains. With 10 electric guitars in his collection, the interest in the instrument is a serious one. 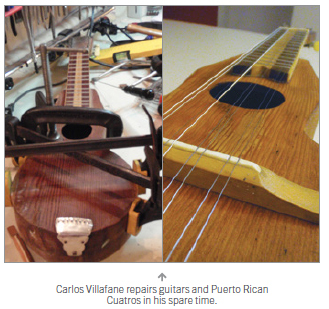 He repairs electric guitars as a hobby. Some of Villafane’s travel experiences, with his wife Demi, include trips to India in 2010, Hawaii several years ago and Alaska in 2014. Those two weeks every year are something he looks forward to. Not a bad set of accomplishments for someone who was first challenged with a second language. If you, or someone you know would be a good fit for our Professional of the Month feature, please fill out the form below. Thank you.